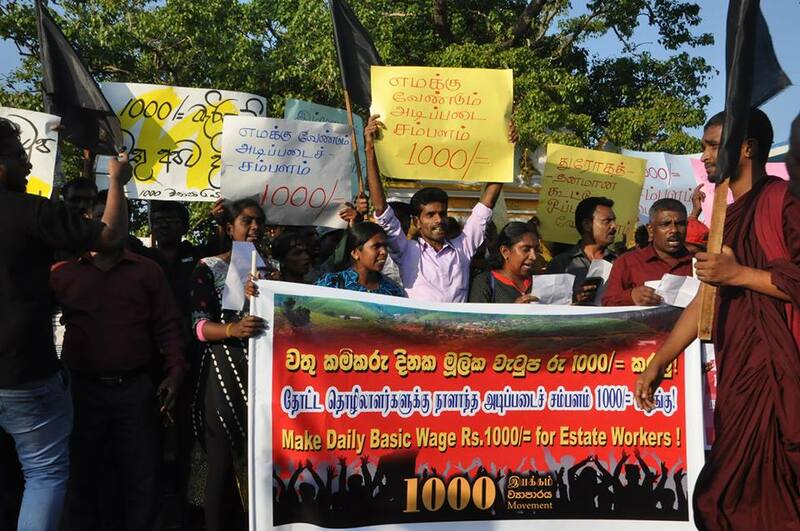 ‘1000 Movement’ organised an island-wide protest today, urging to increase the daily basic salary of plantation workers up to Rs.1000. 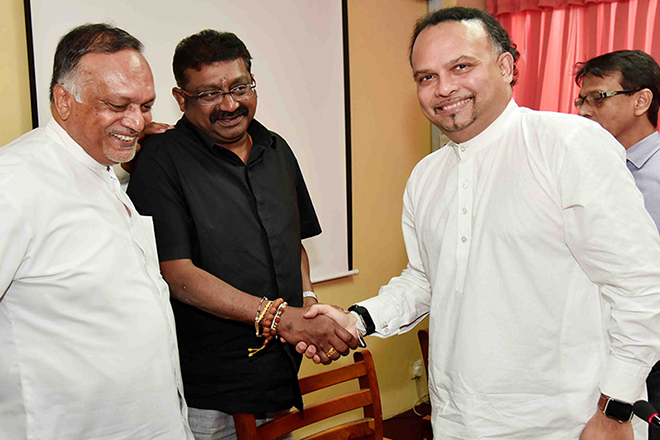 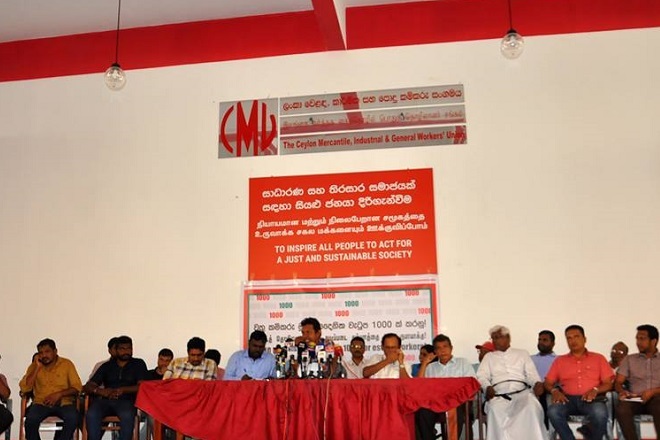 The major protest, representing the 1000th movement, namely trade organisations, left parties, political activists, civil organisations and all other mass organisations took place at Colombo today(23). 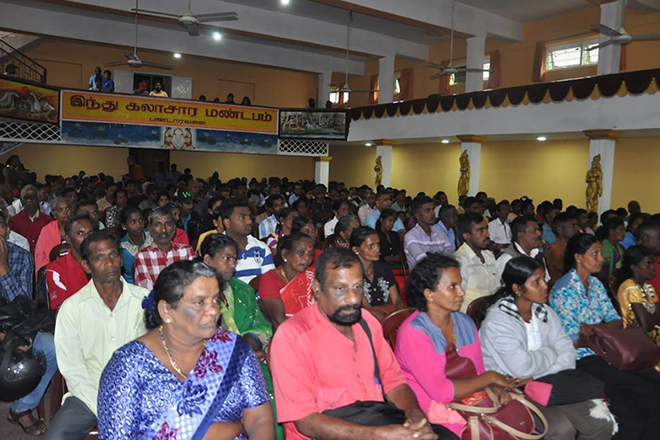 The protesters gathered at Gasworks Junction Colombo at 3.00 pm today, they marched together through the main street to Colombo Fort where they held a protest rally. 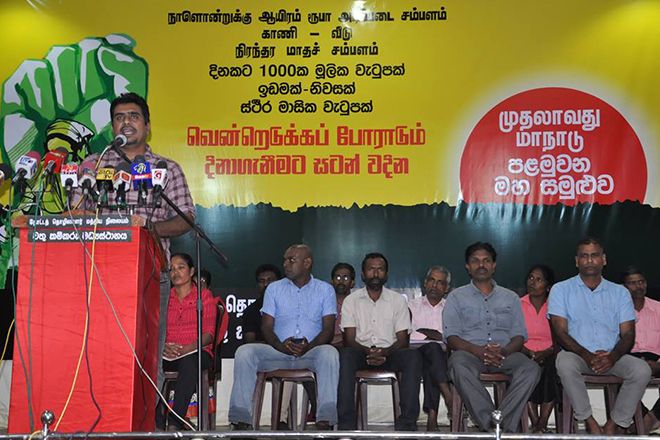 Several trade union leaders and representatives of civil organizations addressed the rally. 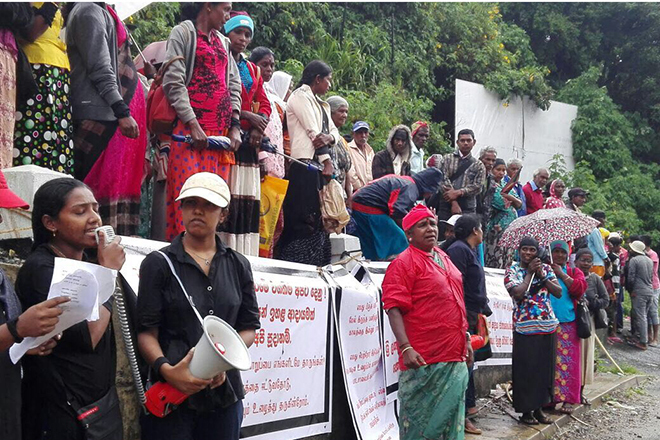 Series of protests will be called Island-wide parallel to this major protest.